Home > Science > Ages: 7-9, 10-12 > Who Eats What? It’s time for your class to put their detective hats on and go on a mission to figure out who eats what. 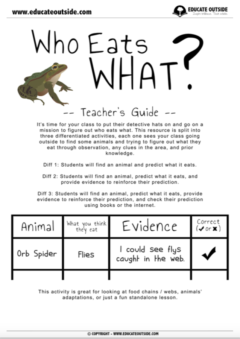 This resource is split into three differentiated activities, each one sees your class going outside to find some creatures and try to figure out what they eat through observation, any clues in the area, and prior knowledge. 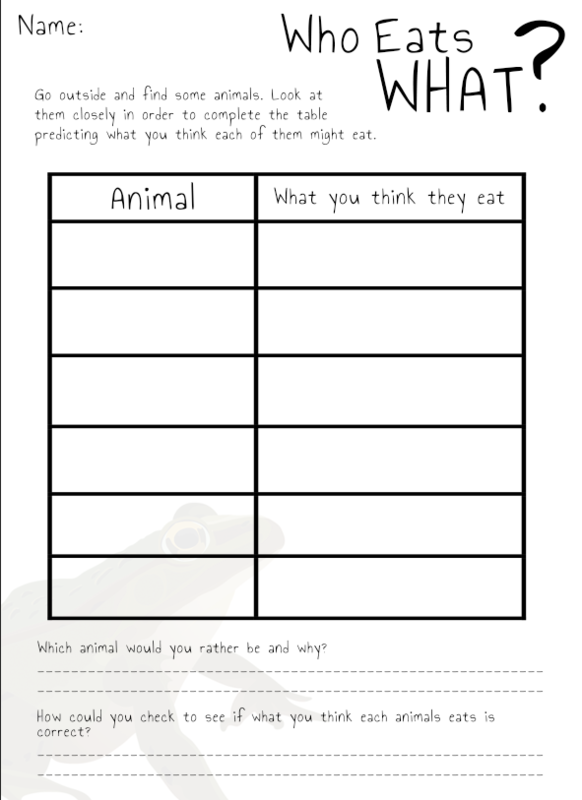 Diff 1: Students will find an animal and predict what it eats. 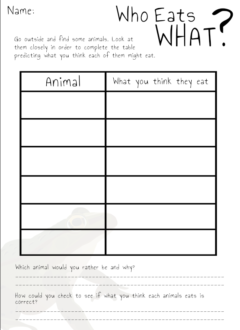 Diff 2: Students will find an animal, predict what it eats, and provide evidence to reinforce their prediction. Diff 3: Students will find an animal, predict what it eats, provide evidence to reinforce their prediction, and check their prediction using books or the internet.